It's pretty cloudy. One of these days, I swear we're going to discover that Phil Hartman is actually alive--and that he's been playing Kudlow as one big Andy Kaufman-esque hoax. P.S. 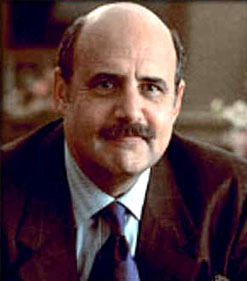 Along those same lines, I'm convinced that Jeffrey Tambor is really Dr. Phil.